Two years ago we told you about an HDLC gateway we were in the process of developing to address the need to integrate legacy devices, based on the GEM80 StarNet HDLC protocol, into modern automation systems. After successful commissioning on the AP2 line at Columbus Stainless in South Africa, the opportunity to address a similar requirement at BlueScope Steel - Port Kembla in Wollongong (Australia) resulted in a purchase order to do site tests being raised. Last week, the Gateway was successfully installed for extensive testing by the plant as a critical component of a project to upgrade the drives on their Hot Skinpass Mill. The project commissioning is scheduled for December 2013 and is being handled by TMEIC. 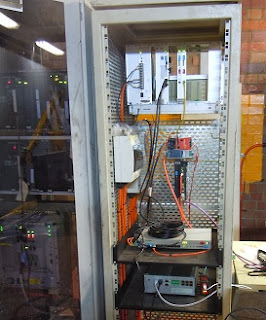 IDX HDLC Gateway (bottom) connected to GEM80 PLC and Toshiba PLC via PROFIBUS Slave interface. 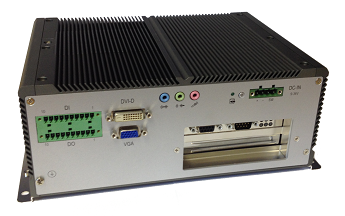 The Gateway is a rugged, embedded device with no moving mechanical components. Flexible interface options, which out the box include PROFIBUS DP master/slave, MODBUS RTU and TCP master/slave. Other custom interfaces are possible, as long as there is a software API and a USB, PCI or PCIe hardware interface available. The Gateway is able to impersonate multiple HDLC slave devices, which means you only need one gateway to replace multiple legacy devices. The device supports data scaling and value offsets for signed and unsigned 16- and 32-bit integers and well as 32/64 bit floating point values.